In South Carolina, there are two types of robbery charges, robbery and armed robbery. Both are felonies. Robbery, also sometimes called strong arm robbery or common law robbery, is the taking of something of value from another by force or threat of force. In legal terms robbery is the combination of assault, threat of harm, plus larceny, taking and carrying away the goods of another with the intent of permanently depriving the owner. Robbery carries up to fifteen years in prison, and one charged with robbery is legally eligible for probation. Armed robbery is robbery by one who is armed with a deadly weapon or who becomes armed with a deadly weapon during the robbery. Armed robbery is a no parole offense and carries up to thirty years in prison and a mandatory minimum sentence of ten years imprisonment. Defense Attorney, Greg McCollum, has handled numerous cases involving the charge of both robbery and armed robbery. He has tried cases involving robbery charges as both a defense attorney and years ago as a prosecutor. He has handled cases where charges of robbery were reduced to misdemeanors and has had robbery charges dismissed outright. 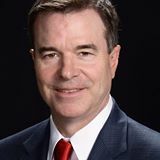 Most recently he had a case where the charge of armed robbery was dismissed by the court during trial and the jury was deadlocked on the lesser offense of common law robbery which resulted in a mistrial on that charge and another felony charge. If you have been arrested and charged with robbery or armed robbery and need a qualified and experienced defense attorney to represent you and defend you, contact the law office of Greg McCollum.